Understated elegance meets fine, lasting jewellery. 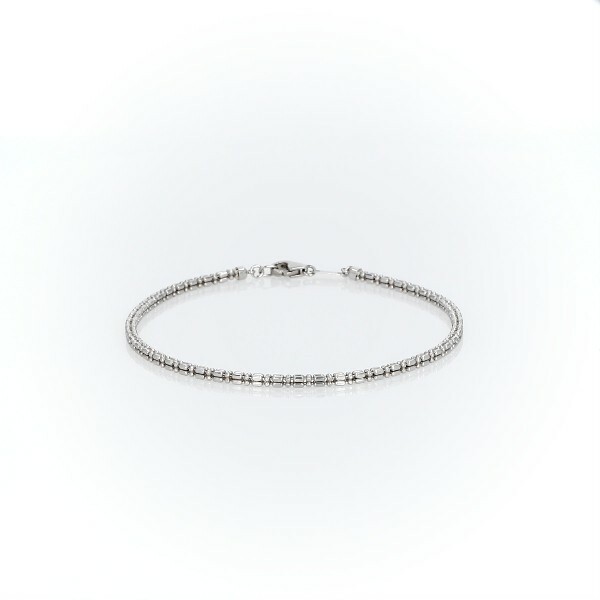 This platinum bead link bracelet is perfect for any occasion. The subtle glimmer of the petite, hollow beads and bars adds a unique sparkle to any look balanced with the wearable strength of platinum. A secure lobster claw clasp keeps the bracelet in place.